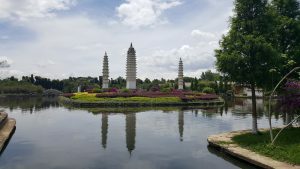 Michelle Foster: Hello from Kunming! 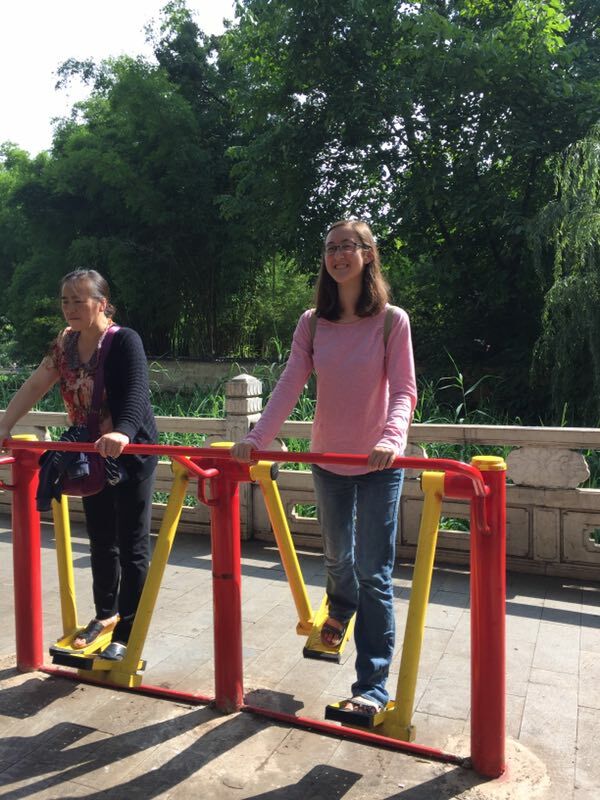 This is the first in a series of blog posts from Whitties studying on Whitman’s Crossroads: Whitman Summer Studies in China program. The program is co-directed by Whitman Professors Brian Dott and Wencui Zhao. Michelle Foster ’20 will begin her second year at Whitman this fall. 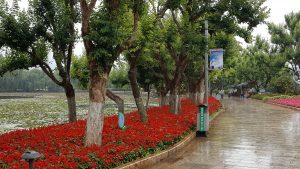 Hello from Kunming, also known as the Spring City! 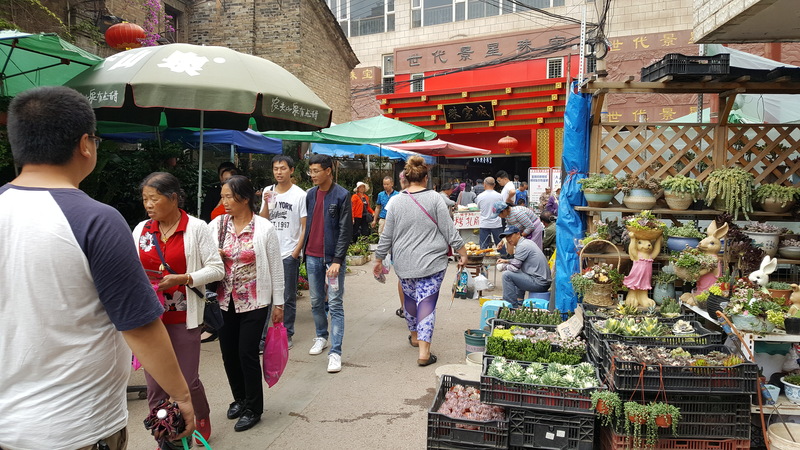 The first two weeks here have passed by quickly, with classes every day and excursions to other nearby places in Yunnan province on the weekends. 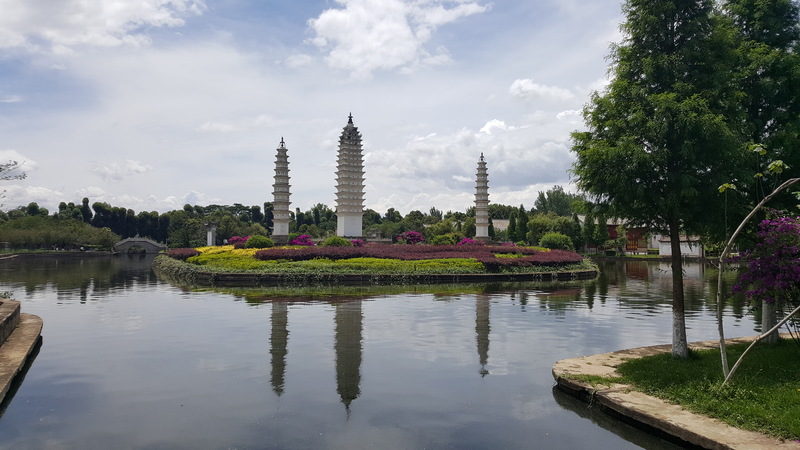 Despite the work that comes with the classes, we’ve had plenty of time to explore Kunming on our own, which has been a great experience! While Kunming is a big city (the population is over 6 million), there is something about it that makes it feel unlike other cities I’ve been to. Speaking to some of my classmates about it, we’ve agreed that it’s not impersonal or fast-paced; rather, the atmosphere is relaxed, with people doing their own thing and apparently feeling comfortable about it. 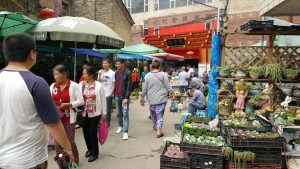 I can’t say this is how it feels to all Kunming residents, but the sense that I’ve gotten from this city as a foreigner has been a welcoming one. 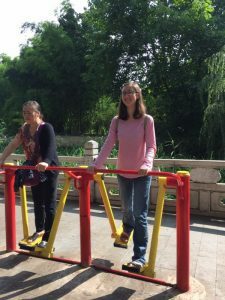 This has made interactions with Kunming locals fun and a lot less stressful than anticipated! While we are far from fluent in Chinese, most people are willing to engage with us. One of the first days we were in Kunming, some of my classmates and I went to a music store. Despite the fact that we had to speak slowly and improvise when coming across words that we didn’t know how to say, the employee working there was glad to talk to us and even played drums with one of my classmates. In another store, the owner gave us music recommendations and happily told us stories about other foreigners that he had met. 翠湖 公园, or the Green Lake Park, is another great place that exudes this atmosphere. At all times, you can find all kinds of people—young, old, fit, not-so-in-shape—taking walks, using the exercise equipment, dancing, and singing. It’s a wonderful space where people don’t care what you’re doing, but it still feels like a community. 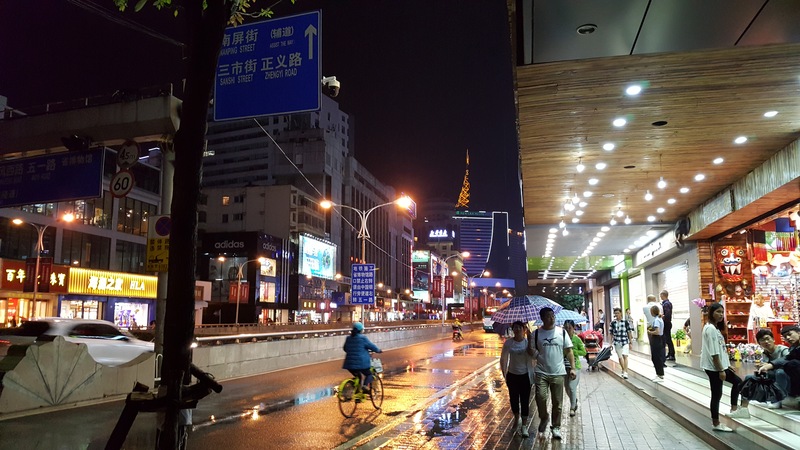 All of this is so different from living in my hometown back in the U.S. It’s been great to have the opportunity to live here in Kunming, where you learn that, while there are certainly similarities between home and here, life and attitudes have to be looked at through different lenses. With an open mind, it’s not difficult to enjoy a meaningful time here. I’m looking forward to getting to know life here even more in the coming days! This entry was posted in Uncategorized on July 12, 2017 by hoffmabb.